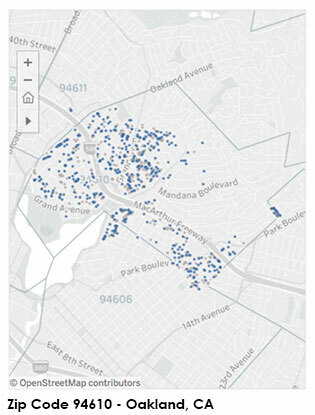 SmartOakland has developed a service to locate where children under the age of 7 are currently located in the city of Oakland who are at particularly high risk for lead poisoning. 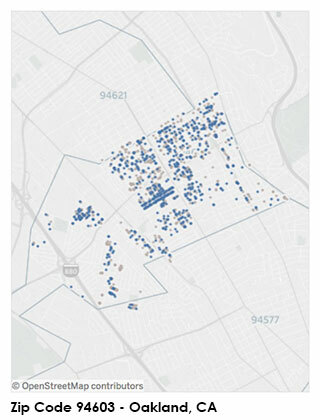 The reason is parents and qualified service providers would intervene and proactively prevent lead poisoning in situations if they knew it was a problem. These kids are in situations today that could end up in new childhood lead poisoning cases this year if nothing is done to stop it. 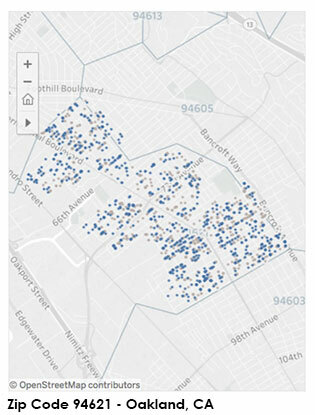 This is an example of our ability to locate children currently at risk for lead poisoning in Oakland housing units so parents can make informed decisions about their options to protect their children's safety and for landlords to become informed as to the risk their property may be posing to tenants. This data set does not identify any particular income level and does not account for renovations. 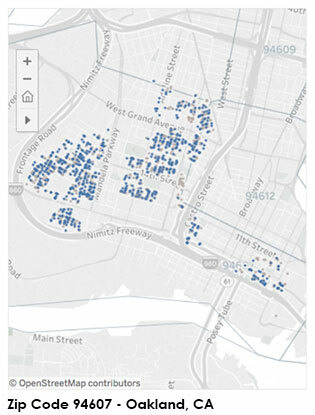 These dashboard views will not be available to the public as they are designed to aid health, housing, and legal services for tenants to protect families from avoidable lead poisoning. Our Get the Lead Out dashboards will become available once your funding helps us access resources to finish version 1.0. 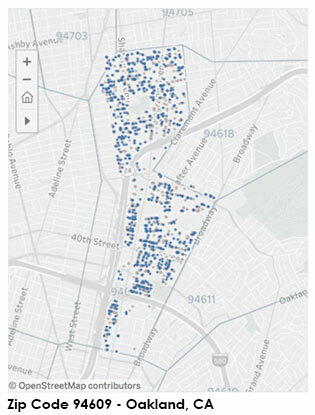 We've performed a preliminary screen of Oakland Zip Codes and found the following number of children under age 7 living in each Zip Code, in multi-tenant, rental, housing units who may be at risk for lead poisoning in the immediate future. 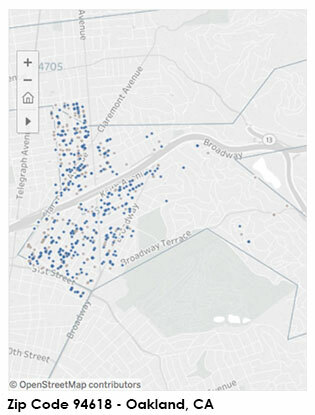 Please fund our work so we can acquire the additional data to provide laser focused insight for intervention and prevention services to end childhood lead poisoning Oakland, today.